It has been a while since I wrote about the Beasts of Fable. When I did initially quite frankly they were huge pushovers. Since then, they’ve received a revamp where they hit far harder and take less damage, so my old faithful strategy of just grabbing a roach and stalling doesn’t work quite as well as it did. So, time for a revisit! I’m starting with Nitun, because I find him the most frustrating bar none. Yes, even moreso than that jerk fish guy, or that other super annoying one that you hate (I’ll get to him too, swears). Nitun is super frustrating largely due to the randomness of his abilities. Most other pets and tamers are scripted, and I’ve seen a few turn-by-turn cheat sheets for many encounters, including some of the Celestial Tournament. But Nitun’s move order is a roll of the dice. Nitun is also a part of the Beasts Of Fable Book One daily quest, so it’s almost like we’re going in order, and I have a method to my madness. Who would’ve thought. This strategy features a very common pet I’ve never used before on the blog. With the Kneebiter in there you can probably guess what our MO is with that scorpion. 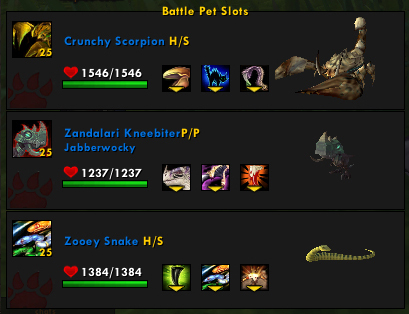 I chose the one I did because it was the first level 25 scorpion I saw in my pet list, so breed isn’t an issue here. A snake is also a good pick in the first slot, but has a slightly shorter duration on its poison, which is the main reason I chose the Scorpion. The flavor of the month Death Adder Hatchling has a poison effect, so you’d think he’d be an excellent pick here, but he provides a warning to those of you making subs. 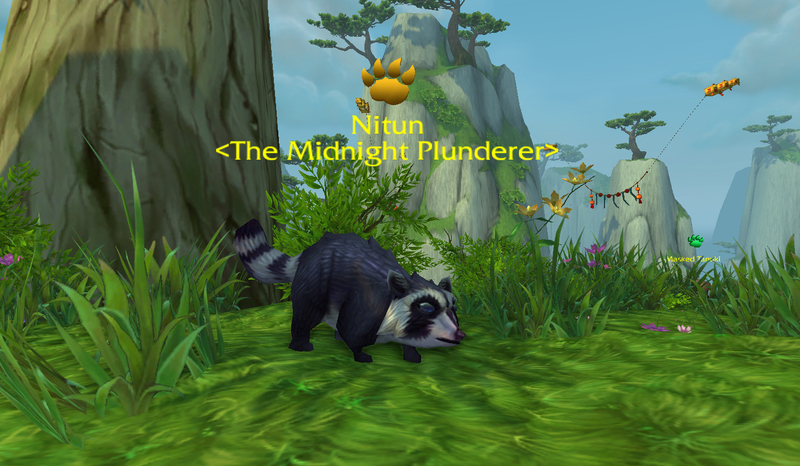 Just any old poison won’t work well here, because Nitun is a critter. The Death Adder Hatchling’s Poison Fang ability hits initially for beast damage, which hits Nitun strongly, but the DoT is elemental which hits Nitun weakly, so the whole ‘buff that DoT’ strategy won’t work nearly as well using the Hatchling. Without the Kneebiter and his incredible Black Claw ability (and no I’m absolutely not overselling here) try a regular raptor with Exposed Wounds, like the Obsidian version you can buy for 50g from Breanni in Dalaran, or another pet with a per-hit additive buff in that vein. I definitely recommend putting a Zandalari Raptor (especially a Kneebiter) in your ‘to be leveled’ list, because again, this combo is just perfection. It’s like a first kiss and cotton candy and the cutest little dinosaur ever all in one. The 3rd battle pet doesn’t really matter with the sheer evanescent glory of Black Claw, but try to pick a beast with strong offense just in case. Another good choice here is a monkey, because Banana Barrage has really good synergy with those debuff moves. If you use the Expose Wounds substitute, I’d go with a snake in the 3rd slot, because he can Burrow as a stall and will add an additional DoT or two for synergy with the debuffs. 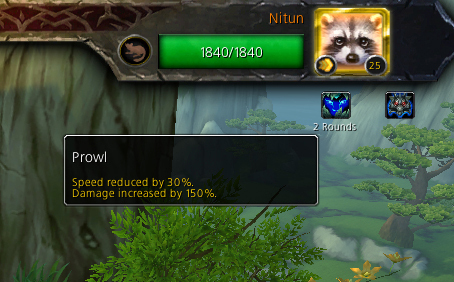 Another good 3rd slot option, especially if you’re lacking a Zandalari, is a Fox or Dog with Howl, to add Shattered Defenses in place of Hunting Party, and Flurry to benefit from the now-lingering Black Claw. Nitun has 3 abilities: Prowl, Rake and Ravage. The randomness I talked about before hinges entirely on Prowl, though the heal effect of Ravage contributes to make him extra annoying. Sometimes he’ll cast Prowl on the very first turn. Or second. Or third. While some evasion abilities are useable here, this makes for a hit-or-miss approach which would be really disingenuous of me to recommend. The one respite you’ll have from Prowl comes from the longer-duration 50% shield abilities. Enter the scorpion. Specifically, the scorpion’s Crouch ability, which allows us to get a couple more turns in before he’s toast, even against Prowl. We’re not totally sure when the scorpion is going to be toast, but we know it’s going to be soon. He’ll be brought well below 50% the first round Nitun Prowls, if not before, even using crouch. I make sure to keep up at least 3 turns on the poison, but I try to time it with Nitun’s Rake. Rake lowers the base damage of the poison DoT by at least half, but I lead with the poison turn 1 even so, just to make sure it’s up, in case Nitun leads with Prowl. After the Scorpion goes to battle pet heaven, I bust out my Kneebiter and use Black Claw. The real coup de grace comes when I’m able to get the shattered defenses debuff from Hunting Party up there too. If the Kneebiter gets murdered before I get Hunting Party out, I’ll have to go to pet #3, but with that black claw debuff and that strong beast offense discussed earlier I’ll still make quick work of this particular Fabled Beast. The one benefit you have against Prowl is that it drastically reduces Nitun’s speed, basically giving you one last hit before you’re toast. Choose that one last hit well, young skywalker, or else his entire bandicoon family is sure to come and eat your force-wielding face off, because bandicoons will pull crap like that. AUGH, it’s coming right for us! This entry was posted in Beasts of Fable and tagged beasts of fable, daily on January 22, 2014 by Liopleurodon. I am super far behind on all these quests, this guide was amazing. The Kneebiter is totally worth the minimal cost and effort to level and he is super SQUEE too! 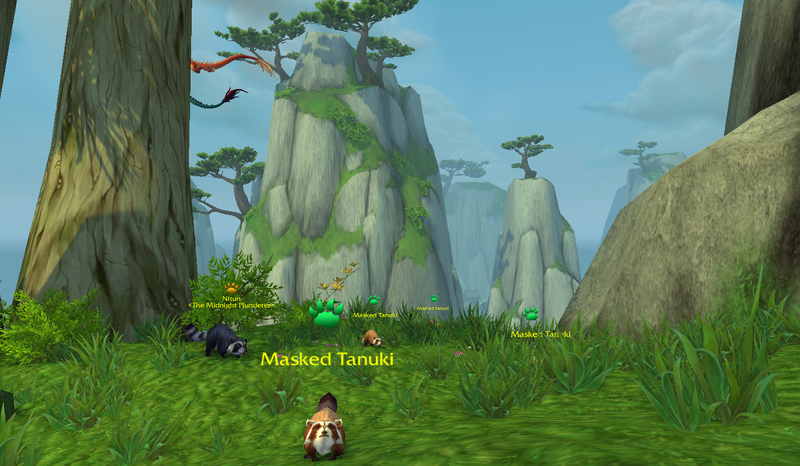 I think I’ll rename him Smasher of Tanuki. Good luck in your new job!